A well fitting white shirt is a wardrobe staple and we love the concealed fastening and classic look of classic Persona version. 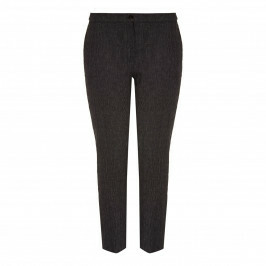 It’s the perfect partner for all your print trousers, just finish the look with tonal shoes. White shirt with classic hidden button front and crystal pleat back. 72% Cotton, 25% Polyamide, 3% Elastane. Fabric 2: 100% Polyester. Do not Wash. Delicate Dry Clean Only.